Ever since I was a little boy, I’ve always loved Christmas stories. I can’t count how many times I have read Charles Dickens’ A Christmas Carol and Hans Christian Andersen’s ‘The Little Match Girl’. I’m also fond of Arthur Conan Doyle’s ‘The Adventure of the Blue Carbuncle’. But my favourite has to be Giuseppe Tomasi di Lampedusa’s ‘La gioia e la legge’ (‘Joy and the Law’).Set in Milan in the early 1950s, this unsung classic of Italian literature is the tale of Girolamo, a downtrodden clerk at the Big-Name Production Company. All through December, he has been dreading Christmas. He is behind with the bills and, even with his bonus, he knows he won’t be able to buy his children much food – let alone presents. But he is in luck. Just before the holidays begin, his boss names him the company’s ‘most deserving employee’ and gives him a magnificent seven-kilo panettone as a reward. On his way back home, he can hardly contain his excitement. But before he can cut ‘the golden strings which some industrious Milanese artisan had tied so beautifully around the package’ that evening, his wife taps him on the shoulder. The lawyer, Risma, had done them a favour a short while ago, she sighs; rather than eat the panettone themselves, they should give it to him as a ‘thank you’. Dolefully, he agrees and, after handing his prize over to his wife, goes out to buy another, smaller panettone. But no sooner has he done so than he remembers how much his colleagues had complained about not getting a taste of his prize. Setting aside the second panettone to share with them after the holiday, he buys a third, even smaller panettone for his family. To make things worse, Risma doesn’t even seem to have received the first one! Fearing that it might have got lost in the post, he tries to establish its whereabouts, to no avail. After Epiphany, however, a card arrives from the lawyer ‘with warmest thanks’. ‘Honour’, Lampedusa notes, ‘had been saved’. But not much else. Lampedusa’s story is, of course, a satire on the ‘laws’ of social obligation in postwar Italy – laws which rob a hard-working man and his family of a well-deserved treat and oblige him to accept belated thanks in lieu of festive cheer. But it is also testimony to the cultural significance of panettone. As Girolamo’s travails reveal, this sweet, bread-like cake, studded with candied fruits and raisins, is as much a part of Christmas in Italy as turkey is in Britain or the US. Indeed, in Milan, it is the sine qua non of the festive season. Though its flavours are rich, it is a simple, innocent pleasure, in which all can share. To fully understand the reasons for its popularity, however, you have to go back a long way. Panettone is sometimes said to date back to the days of the Roman Empire; and not without reason. In the first century AD, Apicius’ De re coquinaria included a recipe for a simple cake made with honey and leavened dough. As literary and archaeological evidence testifies, this was eaten throughout the ancient world and appears to have been something of a favourite at celebrations – especially among Christians. When – and why – it first came to be eaten at Christmas is a mystery, though. According to the 18th-century polymath Pietro Verri it was enjoyed as a yuletide treat in Milan as early as the ninth century. Since Verri declined to reveal his sources, however, there is no way of telling if this is remotely accurate. As the culinary historian Stanislao Porzio has recently pointed out, the earliest unequivocal evidence of panettone being eaten at Christmas is found in a manuscript written in the 1470s by the Milanese humanist Giorgio Valagussa. Valagussa explains that, since time immemorial, the Duke of Milan’s family had gathered together on Christmas Eve for the so-called ‘Ceremony of the Log’. After putting a gigantic lump of wood onto the fire to burn until Epiphany, the duke cut three large, sweet, bread-like cakes into slices and handed a chunk to everyone present. Whether this ceremony was practised as Valagussa suggests is unclear; but it is not implausible and shows that part of the reason for panettone’s adoption as a Christmas dish was that it recalled the sacramental bread of the Eucharist and could be used as a symbol of Christian fellowship. But panettone’s festive popularity cannot be attributed entirely to its Eucharistic associations. Of equal – if not greater - importance to its adoption as a specifically Christmas dish were its ingredients. The earliest panettone was, admittedly, much closer to bread than modern versions. Not only was it dense and coarse, but it also lacked many of the little ‘extras’ which make it so delicious. At about the same time as Valagussa wrote his description of the ‘Ceremony of the Log’, however, the recipe had begun to change, assuming a much more recognisable form. What caused this transformation is unclear. There are, of course, plenty of legends. Two in particular stand out. The first suggests that the new ingredients were the product of forbidden love. Once upon a time, a nobleman named Ughetto was in love with a girl called Adalgisa; but, because she was the daughter of a humble baker, his family forbade him to marry her. Refusing to be put off, he sets aside his aristocratic garb and, disguising himself in peasant clothes, takes a job in Adalgisa’s father’s bakery so that they can be together. All is blissful until competition from a rival bakery threatens to drive Adalgisa’s father out of business. Happily, Ughetto comes up with an idea. After selling his beloved hawks to raise the money to buy fresh ingredients, he adds more butter and sugar to the recipe – producing a sweet and light cake. Soon customers are flocking to buy it. But Ughetto isn’t finished. He then adds eggs and lemon zest to the recipe; and, at Christmas, throws in a few raisins, too. This proves even more popular. Before long it has become the town’s favourite festive treat. Best of all, now that the bakery is thriving, Adalgisa’s father is rich; and Ughetto and Adalgisa are at last able to get married. The second legend puts the recipe down to human error. One Christmas eve, the Duke of Milan is holding a banquet. At the last moment, however, his chef accidentally burns the splendid dessert he has been preparing – and doesn’t have the time or the ingredients to make another. Luckily, a scullery boy called Toni comes to the rescue. He tells the chef that he has made his family a delicious cake using nothing more than a few leftovers and offers him the recipe. The chef is, of course, a little wary; but since he doesn’t have any other choice, he accepts. 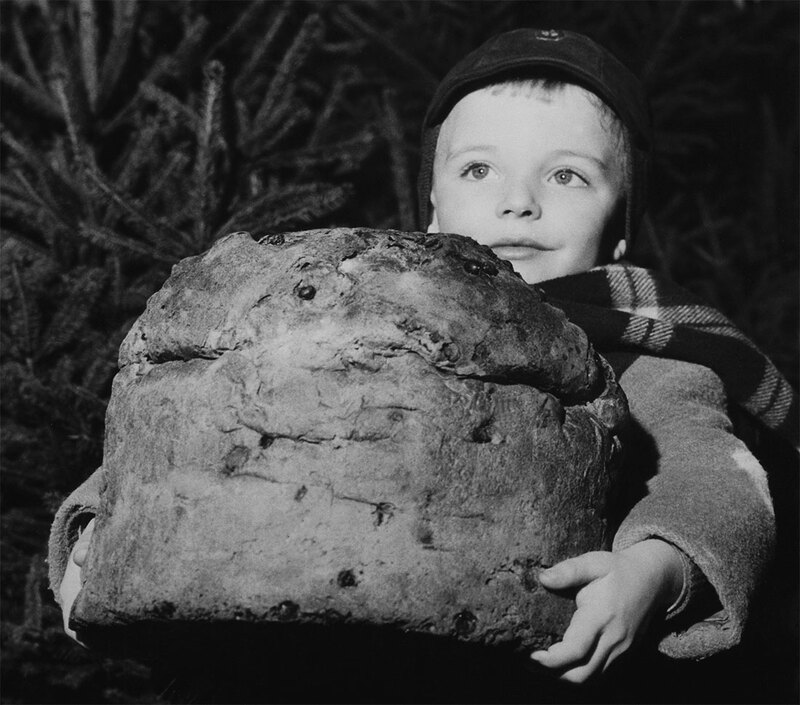 To his amazement, the duke and his guests adore the cake, which, at the chef’s suggestion is named in the scullery boy’s honour (pane di Toni). Needless to say, these are both just old wives’ tales. But they nevertheless give us clues as to why panettone’s new recipe helped to consolidate its role as the Christmas treat par excellence. As each legend makes clear, it was a simple dish, ideally suited to winter. While the most important ingredients – eggs, butter, flour and sugar – were available all year round, those upon which it depended for its flavour were foodstuffs which had been either dried (raisins) or preserved (lemon peel). It was also a dish that everyone could enjoy. Though it tasted rich enough to appeal to lords and dukes, its constituent parts were available to all but the very poorest in society. As such, it was the perfect cake with which to celebrate the Christmas message. In this guise it appears in Bartolomeo Scappi’s recipe book, Opera dell’arte del cucinare (1570). 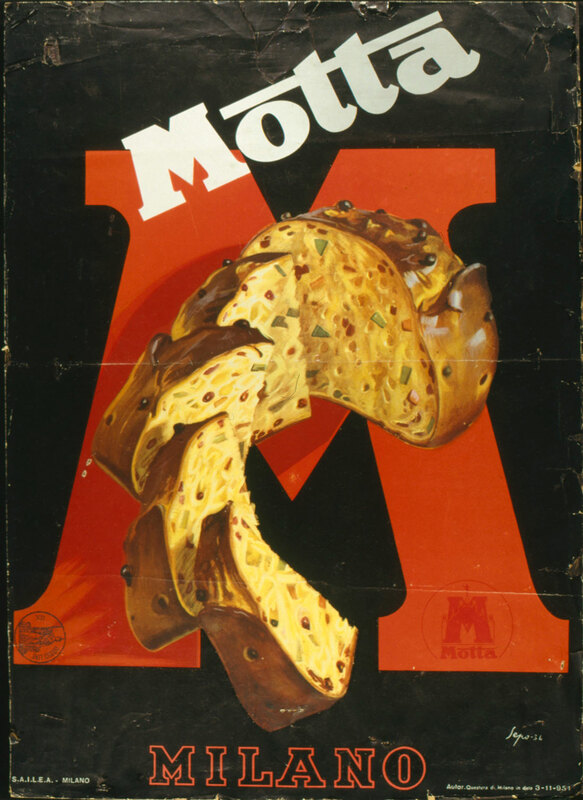 It was not until the early 20th century that panettone became a truly universal yuletide dish, though. The cause was once again a change in recipe. In 1919, a Milanese baker named Angelo Motta had the revolutionary idea of adding more yeast and letting the dough rise three times over a period of almost 20 hours. This transformed panettone from a dense, rather flat loaf into a huge, fluffy dome. Around six years later, Motta’s rival, Gioacchino Alemagna adapted this recipe further, adding even more eggs and butter to give it a smoother taste and a more golden colour. Competition between the two bakers soon became fierce and both began producing panettone on an industrial scale. Despite some interruption during the Second World War, prices were soon driven down and ever-expanding distribution networks were opened up. Coupled with clever marketing campaigns, this firmly established panettone not only as the acme of a Milanese Christmas, but as the must-have festive treat for all Italians. Today, more than 117 million panettone are sold in Italy and abroad. So if, like me, you feel like curling up with a good Italian story at Christmas this year, why not grab yourself a slice of panettone to go with it? After all, it’s more than just a cake; it’s a taste of Christmas past.